I have two friends who are coeliacs, and boy are they fed up with chocolate cake. Evidence that I'm not the only one who, when faced with having to produce a cake for a wheat intolerant friend, has come up with the ubiquitous flourless chocolate cake. Coeliac disease is more than an intolerance, being an auto-immune condition triggered by the gluten found in wheat, rye and barley. In some case, oats are also off the menu. So, there goes bread, pasta, pizza, cakes and biscuits, at least as most of us know them, so I'm always on the look out for suitable seasonal recipes to ring the changes. This cake makes use of those lovely Seville oranges I mentioned a couple of weeks ago which will only be around for another 3-4 weeks. The recipe I gave you then for Seville Orange Tart is out of bounds to my coeliac friends but this Seville Orange Cake is perfect. It has few ingredients and, on the face of it, sounds almost too worthy. Having tried it out on cake lovers with no dietary problems, however, I assure you it more than holds its own in the cake league. Light, yet moist, it is the perfect plain cake to eat with tea or coffee. This recipe is inspired by Sam & Sam Clark's recipe in 'Moro the Cookbook'. The quantities in the recipe below can be reduced by half and the cake baked in a 18cm round tin if you want a smaller cake. You can use sweet oranges instead of bitter Seville but add the juice of 1 lemon to sharpen up the juice if you do. 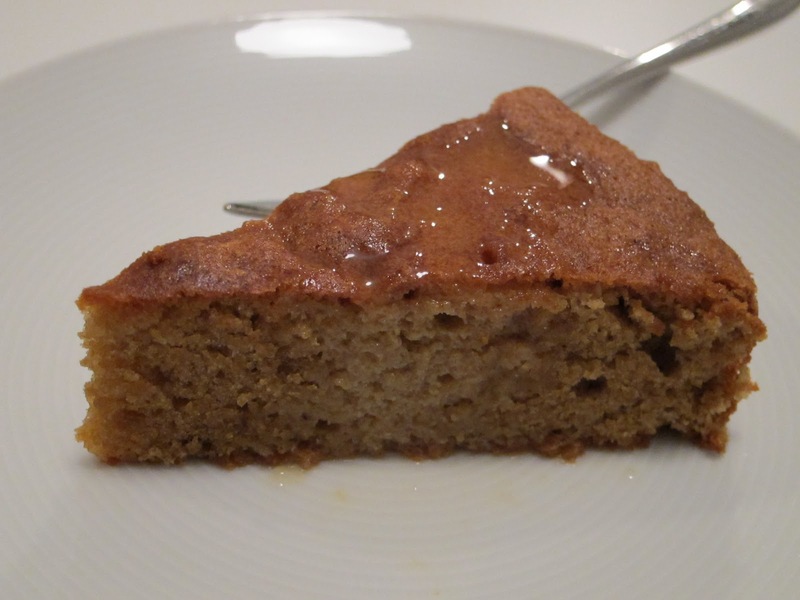 I sometimes mix some chopped almonds into the ground almonds to give the cake a bit more texture. I don't add a cinnamon stick when making the syrup, as the Sams do, as I find it overpowering. A little candied peel served with the cake is a nice touch but it's good on its own. You can make your own candied peel from the Seville oranges. Pre-heat the oven to 180C (160C Fan oven). Line with greasproof paper a 23cm loose bottomed or springform cake tin on the bottom and sides. Mix all but 30g of the caster sugar with the egg yolks until pale. Mix in the almonds and zest. Beat the egg whites with the 30g of caster sugar until stiff. Mix a third of the stiff egg whites into the almond mixture to loosen it up then carefully fold the remaining egg white in trying not to knock out the air. Gently pour the mixture into the prepared cake tin. Bake in the middle of the oven for about 60 minutes (30 minutes if you've made the smaller cake) until the cake is firm and golden. While the cake is baking, bring the juice and sugar gently to a boil then simmer for 10 minutes. It should taste quite tart. Leave the syrup to cool. Once the cake is cooked, remove from the oven and allow it to cool for 10 minutes on a cake rack in its tin. Make a few holes in the cake with a skewer and pour over the syrup. Once it's completely cool, turn out the cake. The cake will keep well for 2-3 days.